Goblin Marauders and Hundred Years War – Now Available! 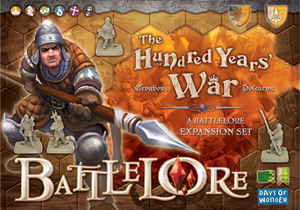 Good News BattleLore fans – the second wave of Specialist Packs – Goblin Marauders and The Hundred Years War Expansions are now shipping from the Days of Wonder Online Store and will also begin showing up in retail stores this week. To learn more about these exciting new figure packs, visit the Specialist Pack Expansion page. 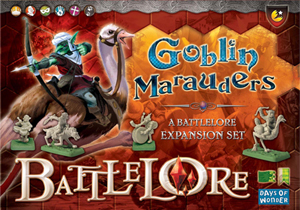 To purchase Goblin Marauders, The Hundred Years War, or any other BattleLore expansion, visit our Online Store. This entry was posted on Monday, August 13th, 2007 at 18:51 and is filed under BattleLore, Games, News. You can follow any responses to this entry through the RSS 2.0 feed. Both comments and pings are currently closed.